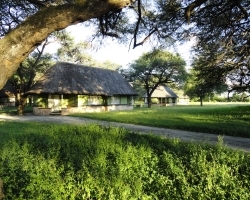 Is the most luxurious lodge at Hwange National Park. Sikumi Tree Lodge is now open. 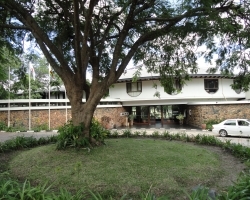 Basic self-catering (self-contained) accommodation in the park. 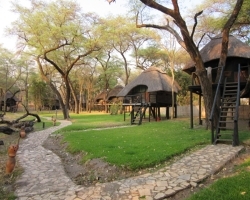 The Robins Camp is in the remote northern region of the Hwange National Park. Please take note that the Robins Camp might not have fuel or provisions. In addition to the three rest camps, the Hwange National Park also allows camping on some platforms overlooking the waterholes. You must book this in advance with the National Parks Board of Zimbabwe. Visit the Hwange National Park if you want to see what the interior of Africa used to look like 150 years ago.